Designing a logo for your brand, company, service or product is really important for the brand identity and growth of your business. Logo is a very important aspect of your business. It gives your brand a unique identity, attention and brings colour and asset to your business. Entrepreneurs say, ‘changing a logo is worse than changing the company/ brand/ product/service name’. Effective logos should be powerful and attention-catching without being too complex. Our Logo is a perfect example for that. Axfer Technologies is crucial to design a logo that mean something to you and the business or service or product you provide. You can find some of our recent logo designs in our SHOWCASE. A website is very important, especially to provide necessary information about your company, product or service. The graphic design, website content and arrangements of things are very necessary to make an impression about your business to the visitor. 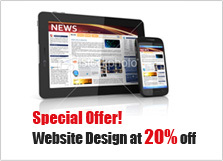 Axfer Technologies help you make such a good graphical and functional website. A business card is as significant as your website, it speaks your identity and it does not matter whichever business you are into. With a business card a link is been produced between you and your business and in the process a link is been created between you and your customer. Business cards can turn into great communicating element just as a website, but in fact it has more to it than a website, it has the ability to have actual feels, diverse material and forms. The letterheads are very essential to any firm because it is a representation of your firm or your institute to the whole world. If you safeguard your letterheads well, and use them for vital documents then people will at all times be certain of what those letters say. Besides they will also consider that the letter, memo or declaration came from you or your firm with no questions asked. Professional looking letterheads and business cards are among the main concern to spend in when opening your own business. Letterheads unquestionably express professionalism in your business, and Axfer Technologies will provide you with the right office set. We do this because we understand the importance of the right office sets. We add distinction to every single note we design, varied layout for diverse needs. Because we know that professionally designed compliment cards lets you create a lasting impression in the mind of your employees, business partners and customers. Develop and execute the right IT strategies. You can trust us to deliver. Copyright © 2012 Axfersolutions.com. All Rights Reserved.